Get 4-piece Chicken McNuggets when you order for a McDonalds promo meal in GrabFood. Grab taps McDonald's Philippines for a free Chicken McNuggets promo this March. 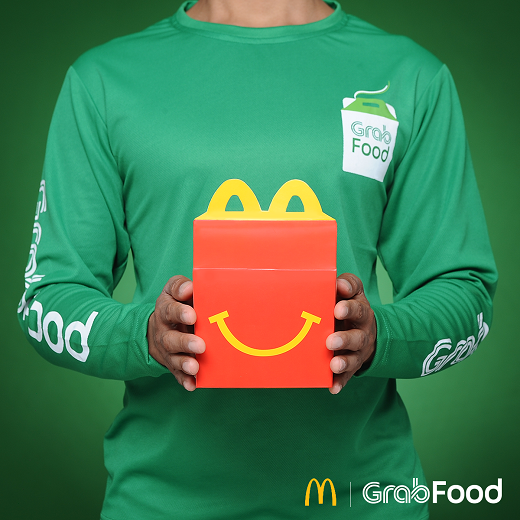 Food lovers who order exclusive McDonald's promo items using the GrabFood section of the Grab app will get a 4-piece Chicken McNuggets for free. GrabFood exclusive promo meals for McDonald’s include two (2) Big Mac Medium Meals, two (2) Quarter Pounder with Cheese Medium Meal, two (2) two-piece Chicken McDo Medium Meals (Original or Spicy), one (1) McShare box for 6 A La Carte, and one (1) McShare box for 8 A La Carte. Every purchase of a promo meal comes with a free 4-piece Chicken McNugget set. Thus, if you buy four promo meals, you'll get 4 sets of 4-piece Chicken McNuggets absolutely for free! This promo is only valid from 11AM to 11PM in Metro Manila and Metro Cebu until March 31.